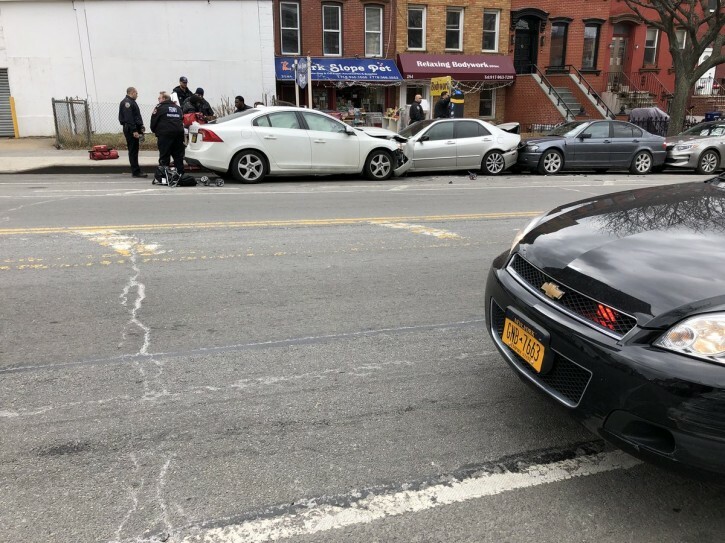 Brooklyn, NY - Two children were killed on Monday afternoon after being struck by a vehicle in Brooklyn. The incident took place at 9th Street and Fifth Avenue at around 12:30 p.m. 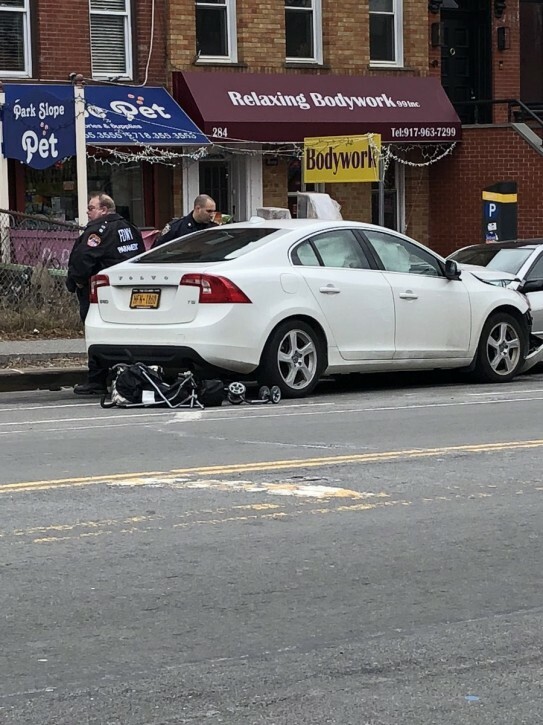 According to PIX11 news, a pregnant woman and two children in a stroller got off a bus when they were struck by a driver who appeared to be speeding up to make it through a light. The car dragged the stroller halfway down the block before coming to a stop. The two children, ages 3 and 5, were pronounced dead. The driver apparently attempted to take off after hitting the victims, but crashed into another vehicle. The injured were rushed to New York Methodist Hospital. “I’m going across and then I slowly see a car coming from Sixth Avenue, just driving real slow, and then when it got like towards the crosswalk to going down to Fourth Avenue, the woman just put her head back – and then, like looking at the ceiling of her car – she accelerated the gas,” a witness told WABC. tragedy, this shows de bozos "traffic calming" measures don't work just generate cash to pay his bloated payroll. I suppose we will see a news conf. with his crocodile tears! Who needs it? this proves they don't work? triumphinwhitehouse and Butterfly should be ashamed of themselves, for their gratuitous, irrelevant politicizing of a tragedy. A young mother joist lost two children, apparently due to wanton, reckless driving...and these two erliche Yidden have nothing to else say?! Disgusting. I said it is a tragedy. Can you explain how you came to the conclusion that it doesn’t work? The driver should be arrested and charged with vehicular homicide, as well as manslaughter. She should not get away with this garbage, and escape with only a ticket for reckless driving.